It happens every year. Multiple times a year. I walk up and down the isles and breathe deeply. “Why is this so hard?” I ask myself, “just pick one!” I am in the aisles of Hallmark. 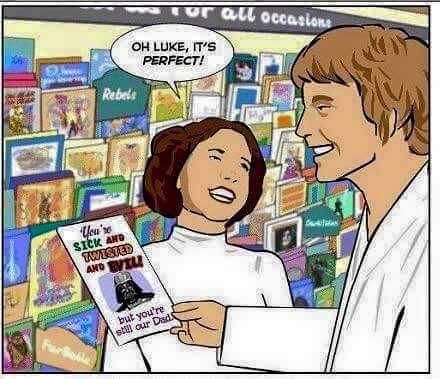 I have probably waited until the last minute, but I am looking for a Father’s Day card. I look around, others are smiling, maybe even a sniffle. “Ugh. Why didn’t I get that gene?” Why didn’t I get that ability to put aside all the hard times, all the imperfections of family, even for a day? Is it possible that they really feel this way about their father? About their family? Couldn’t ask for a better dad. Wouldn’t want to. You’re the best. Just thought you should know. Today’s a perfect time to celebrate what you mean to our family, your love and support, and your generous spirit… everything that makes you very admired and so very, very loved. Social Media makes this even worse. My new feed is already filling up with pictures of fathers and children. “I have the best dad in the world!” I am not against this if you genuinely feel this way, but publicly showing affection for your parents and/or children is seems to be as inauthentic as these Hallmark cards. Where’s the genuineness of relationship? Not in a cultural holiday where I am a terrible daughter if I don’t fall all over myself in thanksgiving to my parent, or they for their child. “Share if you…” is the worst way to tell me you love me. I’m sorry, but it’s absurd. I have done numerous funerals in my time as a pastor, and each time we seek to be authentic in a person’s life. We celebrate their lives, but we also recognize them for who they were, loving parents, possibly a little grouchy and complained a lot. Maybe they HAD a favorite grandchild. We all know it, why not acknowledge it? Days like Father’s Day and Mother’s Day are not just difficult for people who have lost parents or children, they are not just difficult for people who have been abandoned by their parents or who had abusive parents, but anyone who has ever had a difficult relationship with their parents. We can celebrate without feigning perfection, we can celebrate without a mandate. Dad, you don’t get me, I don’t get you, but here’s a card, it’s the least I can do. Happy Father’s Day.